Answer the cry of those afflicted with chronic hunger! 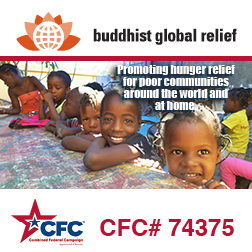 Providing direct food aid, supporting sustainable agriculture, and improving educational opportunities worldwide. Orphaned as an infant, 18 year old Leak Van Vor still remembers how happy she was when she received the news of her scholarship in 8th grade. Leak's father died before she was born and her mother died not long after, so she has been raised by her grandparents. We met Leak with her grandparents at their home. "Our teacher told us there was a scholarship program for poor families so I applied. I received all my school needs such as uniforms, shoes, raincoat and study materials, a bicycle and 50 kilos of rice every month (to help support Leak's family so she would not have to go out and work)from the program! I also get $25 a month from the program but tuition for five subjects is $30. I received a bike in 2016 as my old bike pretty well broke down. It's 8 kms from home to school and around 3 or 4 kms from the residential home to school so I need my bike for a 30-minute ride to school everyday. I used to come home every week but now there's too much school-work to do so I can only get home to see my grandparents every three weeks or so. This is my third year staying at the residential home, which provides almost everything I need and without which it would be very difficult to concentrate on my studies. We arrange ourselves in groups of three for cooking and studying which helps a great deal." We asked Leak what she planned to do after 12th grade. "My dream is to become a teacher though I was recently told at a Lotus Outreach career orientation meeting that I have good potential in banking and finance." Whatever path Leak chooses, she is certain to become a productive member of her community.